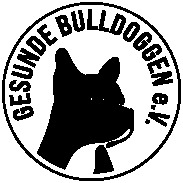 BOAS Brachyzephalic Obstructiv Airway Syndrom - gesunde-bulldoggen-coms Webseite! Where to buy a healthy bulldog? 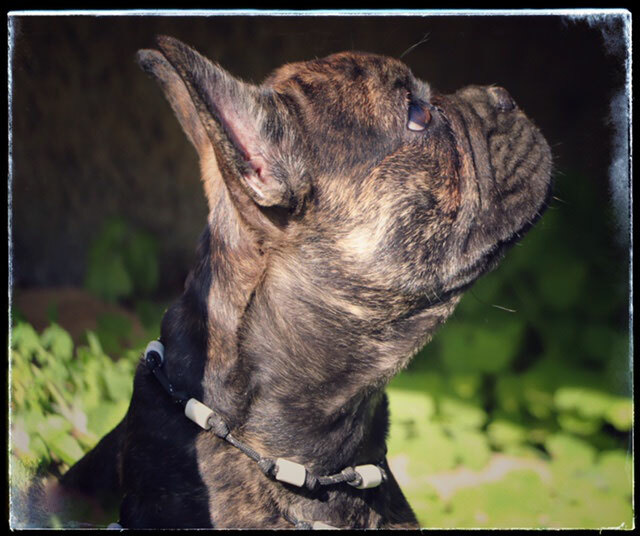 How to breed healthy bulldogs? Do you want to support us? The French Bulldog is a brachycephalous dog, which means that it has a short head. 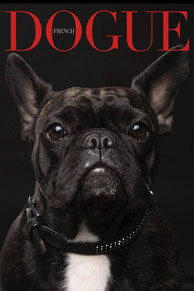 This trait is common in many small dog breeds, including some terriers and spaniels, as well as in the pug breed. 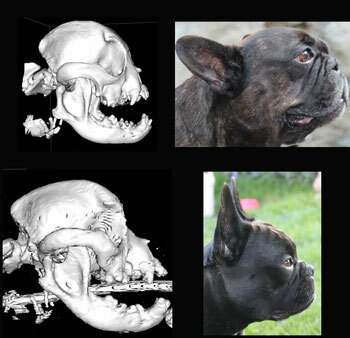 Breeding for short heads is not necessarily associated with severe respiratory problems. These arise only, if one selects on exaggerated forms and does not consider the efficiency of the dogs. A short head is not automatically associated with strong breathing noises or a loss of vitality. Several studies prove that there are moderate forms of short-headedness, which do not represent a gross health obstacle for the small companion dogs. Bully, pugs & Co. do not have to complete any endurance distances like a hunting or herding dog! Healthily bred short heads, however, can pass an endurance test of 10 - 20 km on the bike. If one ignores the function of the head and the respiratory tract as well as that of the thermoregulation, then the severe health restrictions can develop, which are generally known as the brachycephal respiratory tract syndrome. 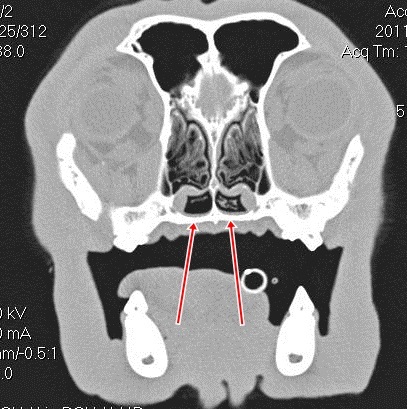 These are characterized by too narrow nostrils, displaced turbinates (inside the nose), too short skull bones and too pronounced soft palate. If you honestly examine breeding dogs for these characteristics, there is a great chance that you will breed healthy dogs that do not show any limitations in performance and thermoregulation. Our association uses computer tomography, magnetic resonance imaging, laryngoscopy and rhinoscopy to diagnose these problems and no longer has a problem with obstructive respiratory problems. None of our offspring was operated on the respiratory tract. 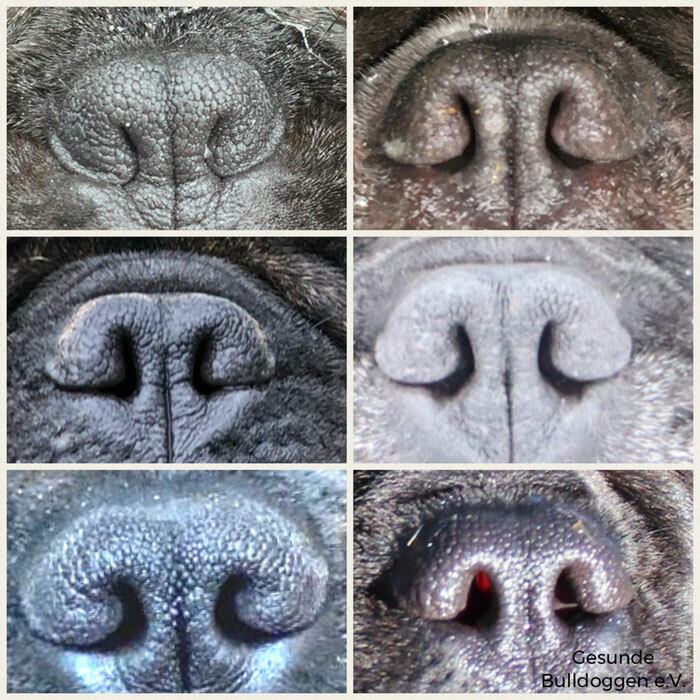 Even if the size of the nostril alone is not decisive for the proper functioning of the respiratory tract, it would be a sensible approach to give the dogs acceptable openings again, as you can see here on the right. We suspend breeding with dogs with abnormal configuration of the conchae. Offspring born 2018, 4 months old. Offspring born 2015, 6 months old.